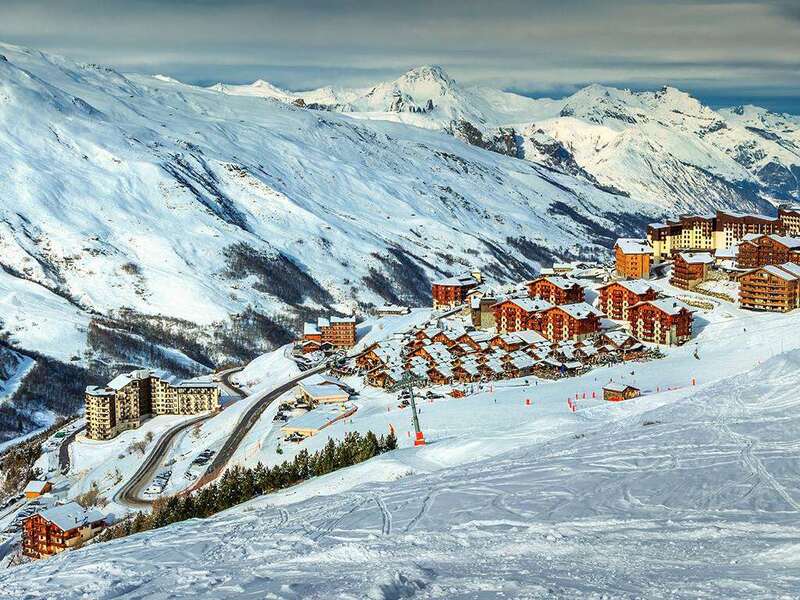 The LE NECOU residence is situated at the foot of the slopes, in the Reberty area of Les Menuires, 2.5km from the ski school and the resort centre (but shops 50m away). Accommodation is in apartments in a 9-storey building (with lifts), built into the mountainside. APARTMENTS EQUIPPED WITH: kitchenette with mini-oven and dishwasher, bathroom. STUDIO ALCOVE sleeps 4, approx 20m², living area with 2 single sofa beds, alcove with bunks. Balcony (in most studios). 1 BEDROOM APARTMENT sleeps 4/5, approx 27m², living area with 2 single sofa beds (1 pull-out bed), double bedroom. Balcony. 1 BEDROOM ALCOVE APARTMENT sleeps 6/7, approx 35m², living area with 2 single sofa beds (1 pull-out bed), double bedroom, alcove with single bed or bunks. Balcony.